Skin feels soft and just looks healthy. Tried lots of different products but this is the best I've found. 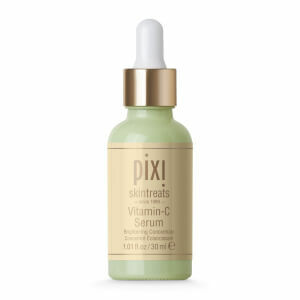 Always have couple of bottles because I notice my skin is duller if I dont use it and I hate running out of Pixi Toner. 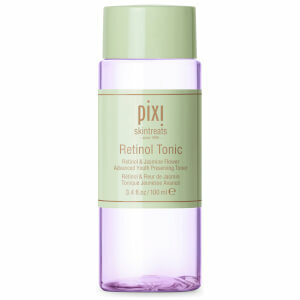 Is the best toner Helps the skin to be more radiant. I have seen SO many people rave about the Glow Tonic and now that I've tried it, I know exactly why! After about 3 weeks using it, my skin is much brighter and smoother. I actually enjoy using the product so much that I may have to stock up! i have sensitive rosacea skin with lots of mild dryness/flakiness around my face. I dont use physical exfoliants coz they are too irritating, so was hoping this would exfoliate & help clear the flaky patches. I can use this no more than once every 2-3 days without my skin becoming irritated (even after over a month). I tried increasing it to once a day, but it was too much - my rosacea flared right up & I had a few minor breakouts, which improved after I stopped. Even after once a day for 2 wks, I didnt notice much difference with the amount of flaky skin. I didnt feel as though it further dried my skin. It did pick up final remnants of dirt from my skin after washing. I'm not upset I tried this product, but i'm glad i listened to my skin & didnt keep forcing thru the 'purge'. This bottle would last a while, so the price isn't too bad, but not sure I'll consistently continue using it. I would prefer no perfume or colouring. Great lotion for everyday use. My skin feels soft and bright. I have been using it for a month and there is visible improvement in my skin complextion. This product is amazing, I had tried so many other products that disappointed me, however, this one really worked for my skin!! With working in the beauty industry I've tried and tested lots of different toners. This one really does get rid of dirt and makes your skin look brighter afterwards. Would recommend!!! 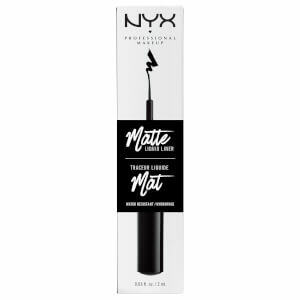 I have repurchased this a few times now and I love it. 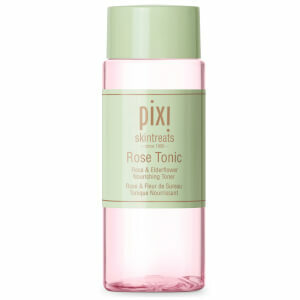 I use it on a cotton pad after cleansing morning and evening and it exfoliates the skin leaving a nice glow. It does sting a little only for a few seconds though! Highly recommend this product.